The 514-ft (156.7 meters) M/V Silver Cloud Expedition is a world-renown luxury expedition ship, specifically designed and purpose-built for navigating the world’s most remote and remarkable environments. Built in 1994, the spacious yet intimate Silver Cloud Expedition will be completely refurbished in 2017 and has a passenger capacity of 254 (**Limited to 240 for her Antarctic Expeditions). 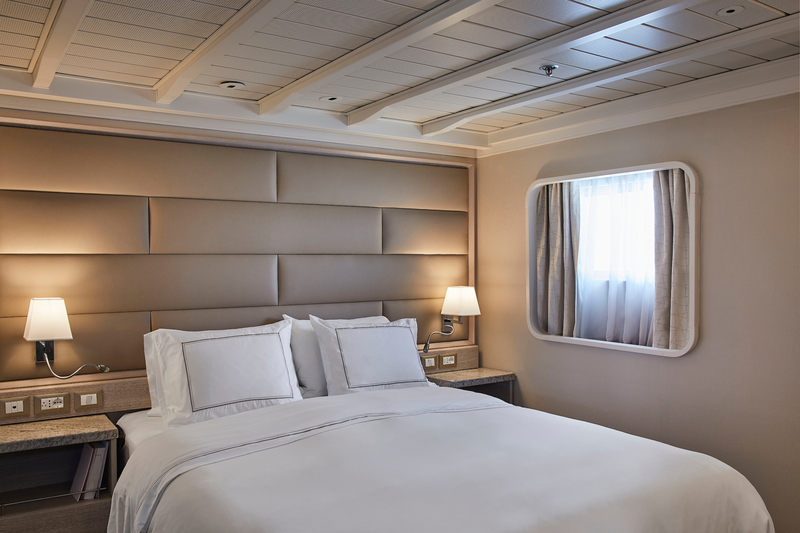 She offers a degree of “all-inclusive” luxury with world-class accommodations, superlative service and amenities - all while maintaining an onboard atmosphere equally unregimented and informal, true to the spirit of expedition travel. 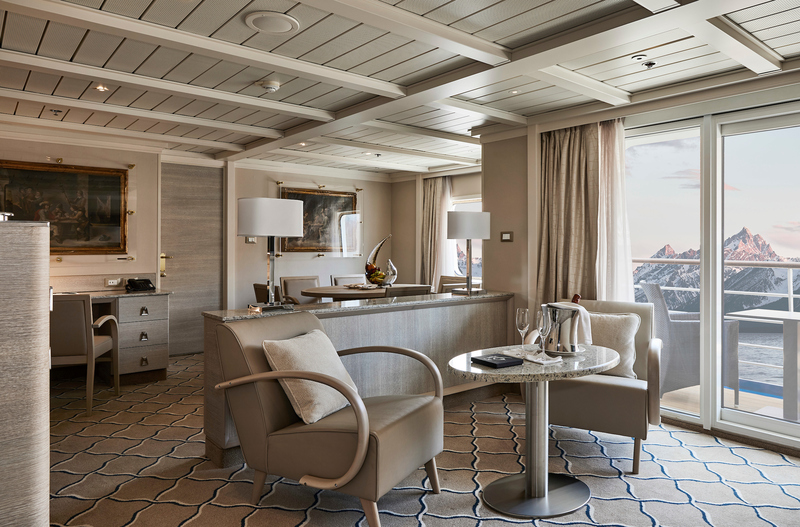 Furthermore, after the extensive refurbishment, she will be the most luxurious ice class vessel in expedition cruising and she’ll boast more stunning dining and entertainment options than any other ice-class ship to the White Continent. Silver Cloud Expedition has an ice-strengthened hull that enables her to safely maneuver through ice floes with ease, and a knowledgeable and experienced Expedition Team that provides insight and understanding to each unforgettable Antarctic adventure. She travels at an average speed of 18 knots and has a Lloyd’s Register ice-class notation (1C). Antarctica is known as the “coldest, highest, driest, windiest place on earth”. However, please keep in mind that you will not be venturing into the interior of the continent and you will be visiting during the Southern Hemisphere summer (November through March). That said, weather in Antarctica can vary dramatically from day to day, even from moment to moment. With summer temperatures ranging from 20-40° F, you may experience snow, rain, high winds, and bright warm sun all in the same day. It is best to approach an Antarctica expedition with a sense of adventure, as the climate is unpredictable. Weather may be a bit cooler early in the season (November) and late in the season (March), but there will not be a dramatic difference in temperatures throughout the tourism season. If you are used to winter in places like the northern United States, Canada, Scandinavia, and Russia, you will be more than prepared for summer temperatures at teh Antarctic Peninsula. o Late October and November: The early part of the season showcases a number of highlights. Landing sites are at their most pristine. The possibility of seeing sea ice is present early on, before it breaks up later on in the season. Late October to early November sees Adélie, Chinstrap and Gentoo adult penguins and Antarctic-breeding seabirds starting to come ashore to their breeding sites where they commence courtship rituals and nest building. Shortly thereafter eggs are laid and incubated. Emperor penguins can be seen on the frozen Weddell Sea (visited occasionally by ice-strengthened expedition ships on special itineraries). Spring flowers begin blooming in the Falkland Islands (Islas Malvinas) and elephant seals are actively courting in South Georgia. South Georgia's female king penguins lay their eggs in November and the parents can be seen "carrying" eggs on their feet so that the parent can shuffle around the colony while the other adult goes out to sea to feed. "Oakum Boys" — king penguin chicks from the previous season — can also be seen in the rookeries. Fur seals litter the beaches in South Georgia with the males aggressive and ready to mate. o December and January: The increased number of daylight hours brings exceptional opportunities for photographers and non-photographers alike, and the expeditions make the most of the summer weather and continuous hours of daylight. Research activity in the Peninsula at the scientific bases is at its peak. Penguin chicks begin hatching in the Falklands (Islas Malvinas); followed by hatchings in mid- to late-December at sites in the Antarctic Peninsula. Some 30 days after hatching, penguin chicks can be found in "crèches," resembling a nursery of sorts, which leaves both adults free to replenish their food supply. An exciting time of this part of the season is when the parent returns with food and the hungry chicks are persistent in being fed, running after the parent (or any adult penguin with food) in a "feeding chase." Whale sightings of baleen and toothed whales escalate in the Peninsula area. Seal pups can be seen on the beaches in South Georgia. Sea ice is also beginning to break up which allows for the possibility to begin to access to rarely visited sites in the Weddell Sea, Ross Sea and within the Antarctic Circle. o February and March: Sightings of whales are at their peak in the Peninsula and an increasing number of fur seals can be found along the Peninsula and offshore islands. Young fur seals are also quite playful in South Georgia. Penguin colonies are very active with the penguin chicks beginning their molt - losing their fuzzy down and developing their adult plumage. During this timeframe, the parents will abandoned their chicks, and return out to sea to feed and fatten up for their own molting stage. Most colonies (Adélie, Chinstrap and Gentoo) are nearly vacated by the end of February to early March. Blooming snow algae is prevalent and receding pack ice has reached its peak for the season, allowing for easier exploration within the Weddell Sea, Ross Sea and Antarctic Circle. 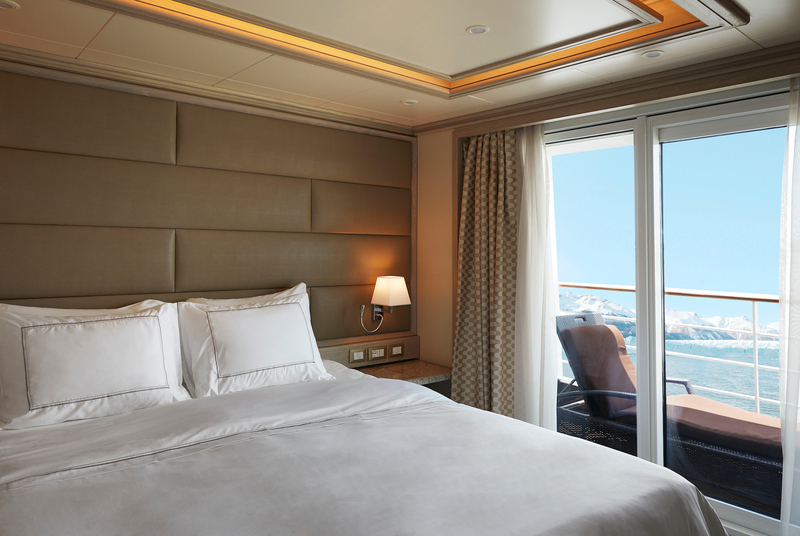 Availability changes constantly on Antarctica cruises. 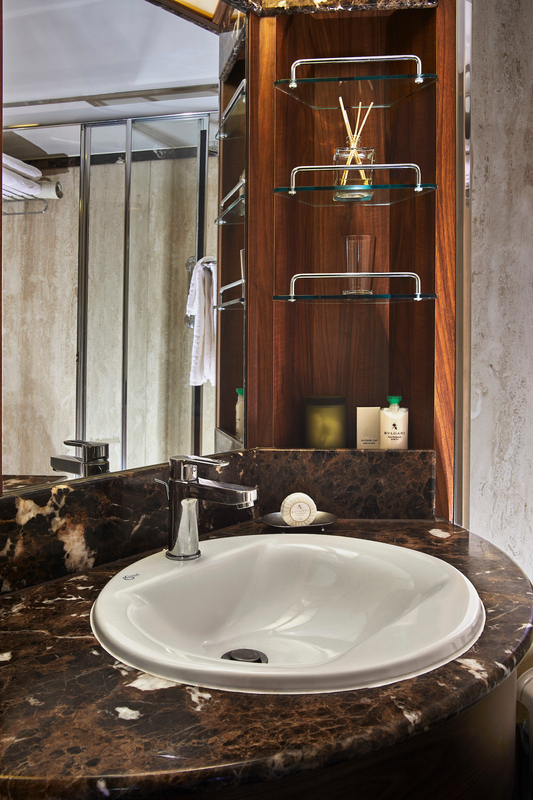 Please contact us for the most up-to-date availability. 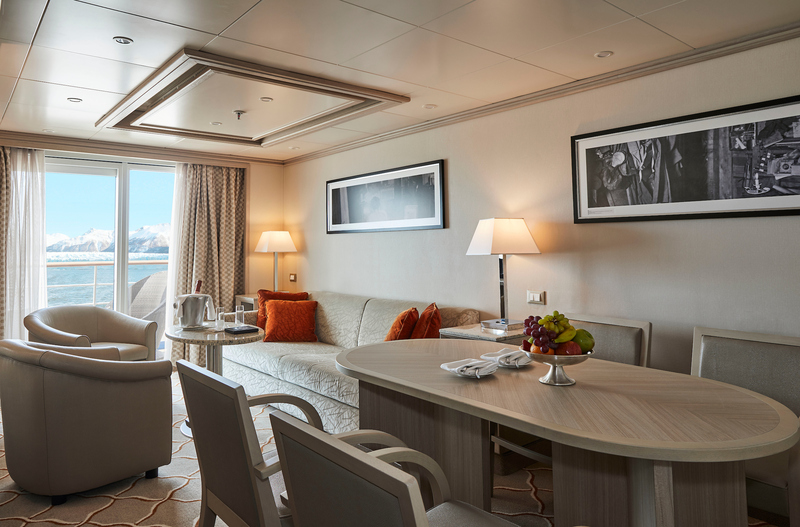 The M/V Silver Cloud Antarctic Expeditions accommodate a maximum of 240 guests in expansive ocean-view suites, each with 24-hour room service, Butler service and an elegant ambience of unrivalled luxury. Almost all of her suites will include private verandas so that a breaching whale or a few cavorting penguins are always within sight. 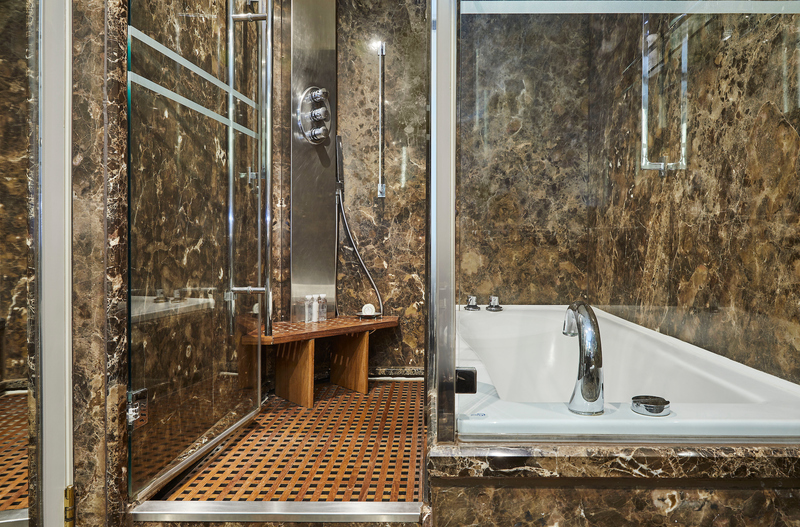 Triples can be accommodated in many suites and five also offer the option of adjoining with the connecting suite. Butler service, 24-hr Room Service, Champagne upon request, Daily suite service with nightly turndown, Walk-in wardrobe with personal safe, Radio/alarm with iPod docking station, Direct-dial telephone, Refrigerator and bar setup, stocked with your preferences, Pratesi® fine bed linens and down duvet covers, Premium mattresses and a choice of pillows, Plush robes and slippers, Choice of European bath amenities, Vanity table(s) with hair dryer, Writing desk(s) with personalized stationery, binoculars, and umbrella, WiFi access, Flat screen TV(s), on-demand movies, and satellite news, Complimentary interactive mobile content. 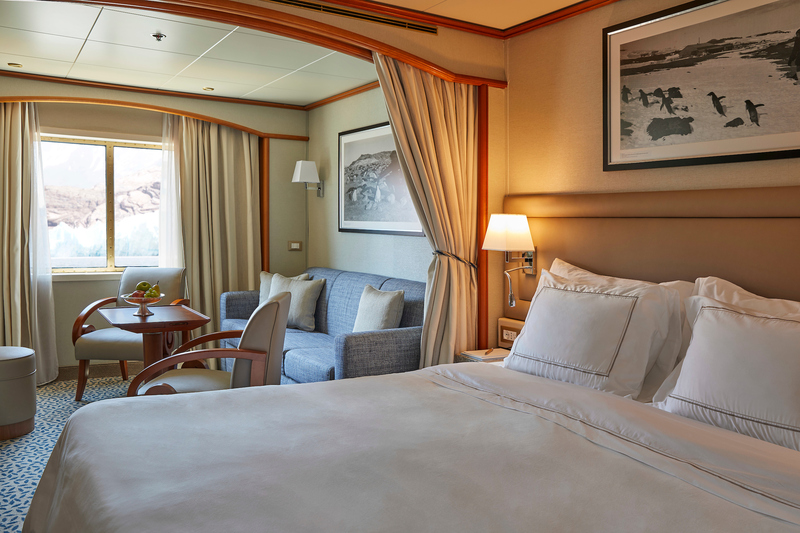 With incomparable comfort and style, M/V Silver Cloud Expedition offers six passenger decks with plenty of deck space for discovering the wonders of Antarctica. 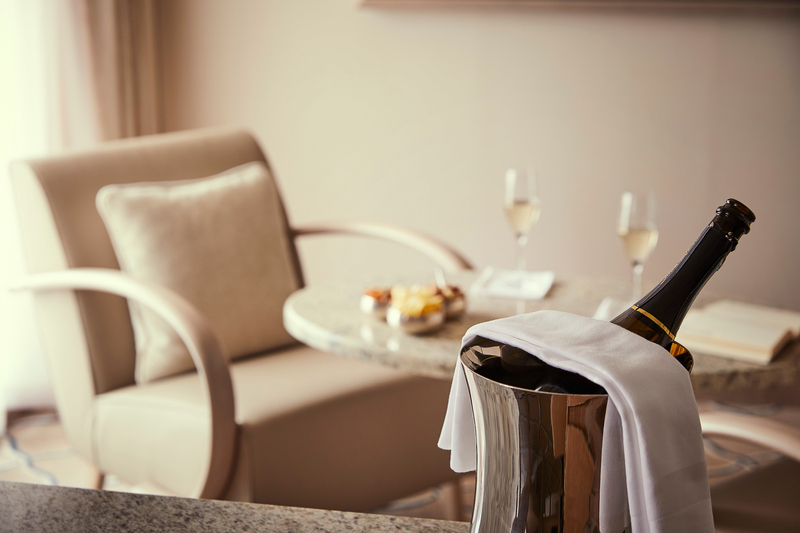 Along with panoramic public rooms and broad, sweeping decks, guests enjoy complimentary beverages, wines and spirits, a stocked en-suite beverage cabinet, complimentary WiFi and included gratuities. 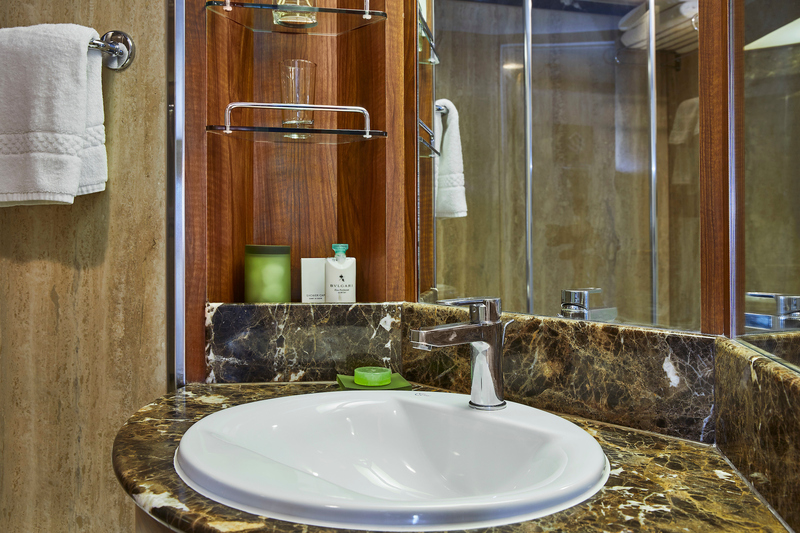 Additional amenities include four elevators, a library, full service Beauty Salon and Spa, with sauna and steam room, two Whirl Pool Spas, fitness center, medical center, boutique, Internet Café, and mobile phone service, complimentary self-service laundry facilities, an expansive promenade deck, a Panorama Lounge with an onboard pianist and even a Connoisseur’s Corner offering exceptional cognacs along with a premium selection of cigars for purchase. A multi-tiered Show Lounge presenting a broad spectrum of presentations such as port talks, enrichment lectures and special events ranging from full-scale production shows and classical soloists, to cultural entertainment and feature films. A variety of different gourmet dining options such as en-suite dining; the Pool Bar which becomes The Grill in the evenings, La Terrazza, and The Restaurant with menus created by the Grands Chefs Relais & Châteaux and Le Champagne - The Wine Restaurant by Relais & Châteaux. 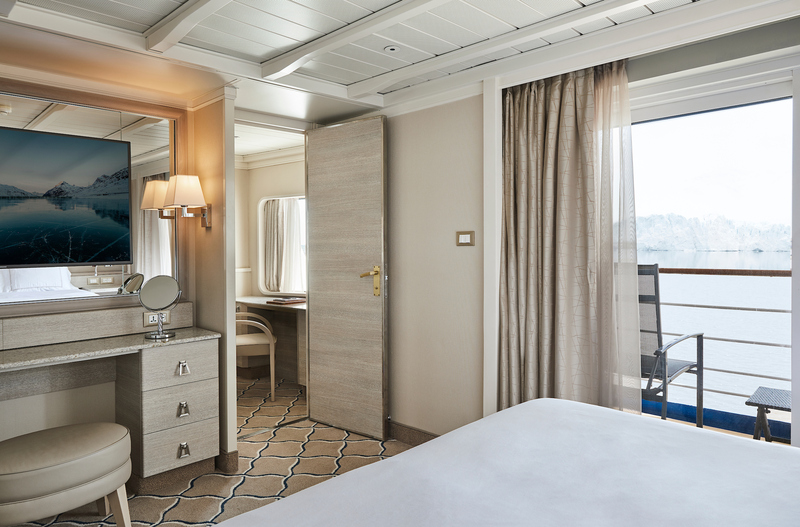 The vessel is equipped with an onboard fleet of 18 new state-of-the-art Zodiacs to allow Silver Cloud Expedition guests to have plenty of opportunities for exploring the wonders ashore. The Silver Cloud Expedition is expertly manned by 208 international crew members and an Expedition Team of 19 which includes historians, biologists, anthropologists, geologists, botanists, ornithologists, naturalists, photographers and destination experts. A: Antarctica is the trip of a lifetime, offering abundant wildlife and unique landscapes. Travelling to the end of the world is an unparalleled experience. It’s hard to go wrong with any option but for those with specific interests we recommend reviewing our guide to Antarctica Cruises found here or contacting an Adventure Travel Coordinator. 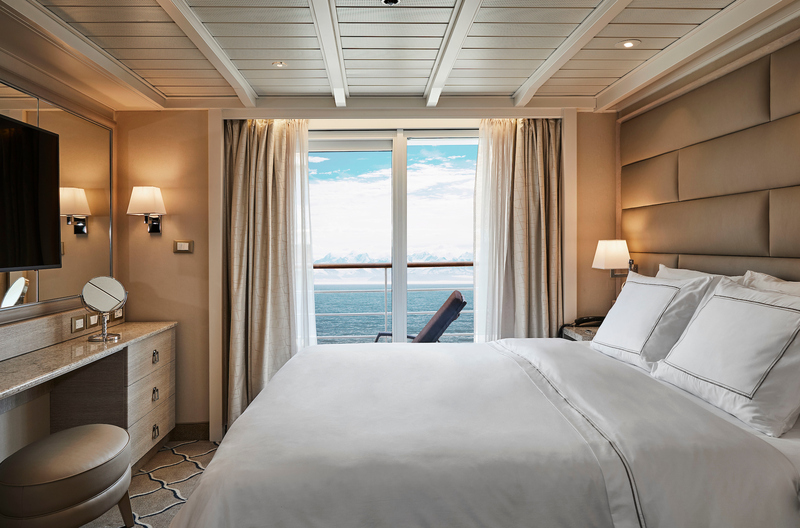 A: Antarctica cruise itineraries are set and cannot be changed, but you can certainly add pre/post cruise services (hotels, tours, transfers, flights, etc.) in Argentina and Chile. Southern Explorations is happy to assist with any additional services you require. Q: When is the best time to go to Antarctica? A: Travel to Antarctica occurs during the Austral Summer with cruise expeditions departing from late October through March. You may wish to schedule your trip according to what wildlife activities you’d like to observe, or any specific adventure activities you would like to do, such as snowshoeing, skiing, mountaineering, whale watching, and more, which are only offered on certain departures. Q: When is the most affordable time of year to travel to Antarctica? What’s the best way to get a deal on an Antarctica cruise? A: It is a popular misconception that the best way to obtain a deal on an Antarctica cruise is to wait until the last possible moment to book. While this works out sometimes, this scenario is rarer and rarer as Antarctica’s popularity as a tourist destination increases. A few years ago, operators had trouble filling their boats with paying passengers, so last-minute deals were common. Now, most Antarctica cruise departures sell out far in advance, so there is no reason for operators to offer last-minute deals. Currently the best way to obtain a deal on an Antarctica cruise is to book early, as many operators offer early booking discounts. Generally, it is a good idea to confirm your cruise at least eight months to one year in advance. The time period around the holidays (Christmas/New Year's) tends to sell out further in advance. Fly cruises, during which you fly over the Drake Passage rather than crossing it onboard the vessel, also tend to sell out early, so it is a good idea to book more than one year in advance if you choose this type of cruise. Prices are higher for travel in late December, January, and early February, as this is high season. Prices are lower early season (November/early December) and late season (late February/March). Q: What can I expect to see at different points during the season? Late October and November: The early part of the season showcases a number of highlights. Landing sites are at their most pristine. The possibility of seeing sea ice is present early on, before it breaks up later in the season. Late October to early November sees Adélie, Chinstrap and Gentoo adult penguins and Antarctic-breeding seabirds starting to come ashore to their breeding sites where they commence courtship rituals and nest building. Shortly thereafter eggs are laid and incubated. Emperor penguins can be seen on the frozen Weddell Sea (visited via helicopter on special Emperor penguin voyages). December and January: The increased number of daylight hours brings exceptional opportunities for photographers and non-photographers alike, and the expeditions make the most of the summer weather and continuous hours of daylight. Research activity in the Peninsula at the scientific bases is at its peak. Penguin chicks begin hatching in the Falklands (Islas Malvinas); followed by hatchings in mid- to late-December at sites in the Antarctic Peninsula. Some 30 days after hatching, penguin chicks can be found in "crèches," resembling a nursery of sorts, which leaves both adults free to replenish their food supply. An exciting time of this part of the season is when the parent returns with food and the hungry chicks are persistent in being fed, running after the parent (or any adult penguin with food) in a "feeding chase." Whale sightings of baleen and toothed whales escalate in the Peninsula area. Seal pups can be seen on the beaches in South Georgia. Sea ice is also beginning to break up, which allows for the possibility to begin to access to rarely visited sites in the Weddell Sea, Ross Sea and within the Antarctic Circle. February and March: Sightings of whales are at their peak in the Peninsula and an increasing number of fur seals can be found along the Peninsula and offshore islands. Young fur seals are also quite playful in South Georgia. Penguin colonies are very active with the penguin chicks beginning their molt - losing their fuzzy down and developing their adult plumage. During this timeframe, the parents will abandoned their chicks, and return out to sea to feed and fatten up for their own molting stage. Most colonies (Adélie, Chinstrap and Gentoo) are nearly vacated by the end of February to early March. Blooming snow algae is prevalent and receding pack ice has reached its peak for the season, allowing for easier exploration within the Weddell Sea, Ross Sea and Antarctic Circle. Q: What is the weather like in Antarctica? A: Antarctica is the highest, driest, windiest, coldest place on earth, but keep in mind that all tourism trips occur during Austral summer. The average summer temperature in the Antarctic Peninsula area is around 25 to 32°F (-4 to 0°C), although sometimes it will feel substantially colder due to the wind chill factor and water splashing up while riding in zodiacs. You can expect to encounter varied conditions including rain, snow, high winds, bright sun, and fog. Q: What is a typical day like in Antarctica? A: All three meals are eaten on board the ship. After breakfast, you will head out for your morning excursion for 2 to 5 hours, then get back on board to eat lunch while the ship navigates to the next landing site. Here you will once again disembark on land for 2 to 5 hours before dinner. Q: How physically fit do I need to be to enjoy a trip to Antarctica? A: You do not need to be extremely physically fit to travel to Antarctica, but should be comfortable walking short distances over uneven terrain, including snow, ice, and rock. Most ships also have a steep metal gangway that you must descend and ascend to embark/disembark the small zodiac boats that ferry passengers to shore. Your guides will always be there to assist you. Q: While in Antarctica, will I get to get off the ship and walk around on land? A: Yes! You will make landings every day you are in Antarctica, and the cruise staff will ensure you spend as much time on land as possible. This is true of every Antarctica cruise we offer. There is no cruise during which you stay onboard the ship the entire time. Q: How much time do I need to visit Antarctica? A: Standard Antarctic Peninsula cruise itineraries are 10 to 12 days long. The shortest Antarctica voyage we offer is 6 days long, with our longest being 32 days. 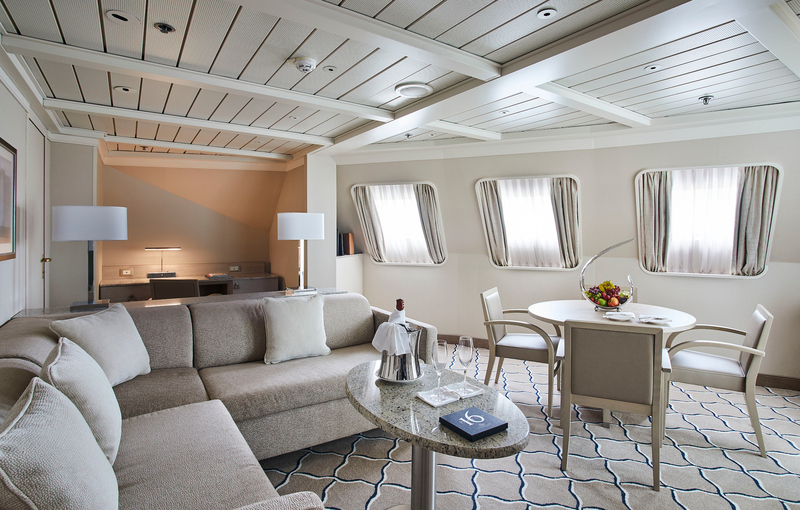 Please inquire for details about specific voyages. A: All Antarctica cruises have different deposit policies, with the deposit amount typically ranging from $1500 per person to 25% of the total trip costs. Final payment is usually due between 100 days and 120 days prior to travel. Antarctica cruise cancelation policies vary widely from ship to ship. The cancelation penalty from the time of booking up until 90 or 120 days prior to departure can be as little as $500 per person or as much as $5000+ per person. Generally, all cruises will have a 100% cancelation penalty within 90 days of departure. 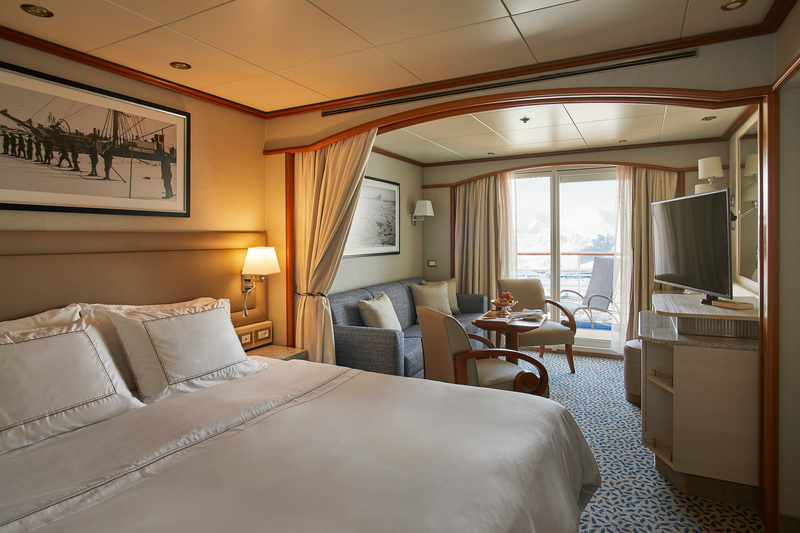 Please inquire for details about cancelation penalties for specific ships. 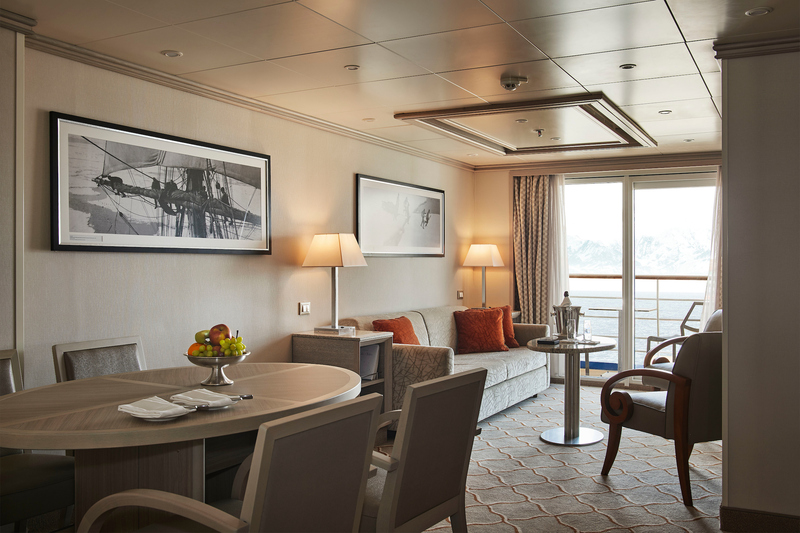 A: Accommodations and amenities on board Antarctica cruises vary from simple 3-star to luxury 5-star. Please inquire for details. A: Most Antarctica cruises do not include any airfare, though some include roundtrip flights from Buenos Aires to Ushuaia, and “fly cruises” include flights from Punta Arenas, Chile to Antarctica or to the Falkland Islands. Southern Explorations is happy to arrange any flights you require within Argentina or Chile. Please inquire about airfare inclusions for specific cruises. 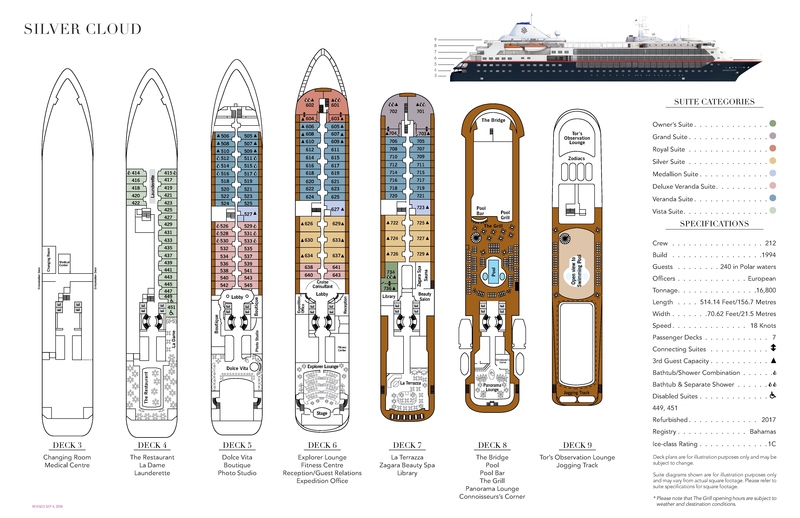 A: The Antarctica cruise ships we offer range in size from a capacity of 54 to 200 passengers. “Mega ships” with thousands of passengers on board are not allowed to make landings in Antarctica, so all vessels are relatively small. Q: Do I need travel insurance, what all do I need, and how much does it cost? A: All Antarctica cruises require that passengers purchase travel insurance covering emergency medical evacuation and repatriation. The cost of medical evacuation transport from Antarctica is high, and as it is the responsibility of the traveler, this coverage is imperative. Though trip cancellation insurance is not required, it is highly recommended. The cost of travel insurance varies from individual to individual and depends on many factors, such as cost of trip covered, age of traveler, where you live, etc. We recommend contacting Berkshire Hathaway or Travel Guard, or click here to compare other trip insurance companies. Q: Where do Antarctica cruises begin and end? 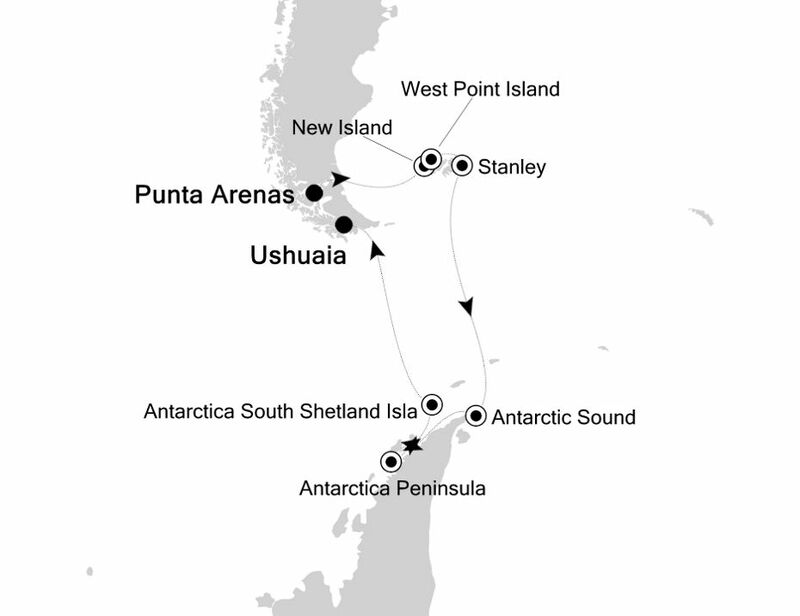 A: Most Antarctica cruises begin/end in either Ushuaia, Argentina or Punta Arenas, Chile. Occasionally cruises depart directly from Buenos Aires, Montevideo, or other port cities, but this is rare. When departing from Ushuaia, you board the cruise at the pier in town and cross the Drake Passage onboard the vessel. Trips departing from Punta Arenas are "fly/cruise" programs that fly you (one-way or both-ways) by small aircraft to the South Shetland Islands, just off the Antarctic Peninsula to embark your expedition ship there. There are also some cruises that start with a flight from Punta Arenas to Stanley in the Falkland Islands. Please check your itinerary for any inclusions, or needed additions, such as pre- or post-trip hotel nights and domestic flights to your embarkation cities. 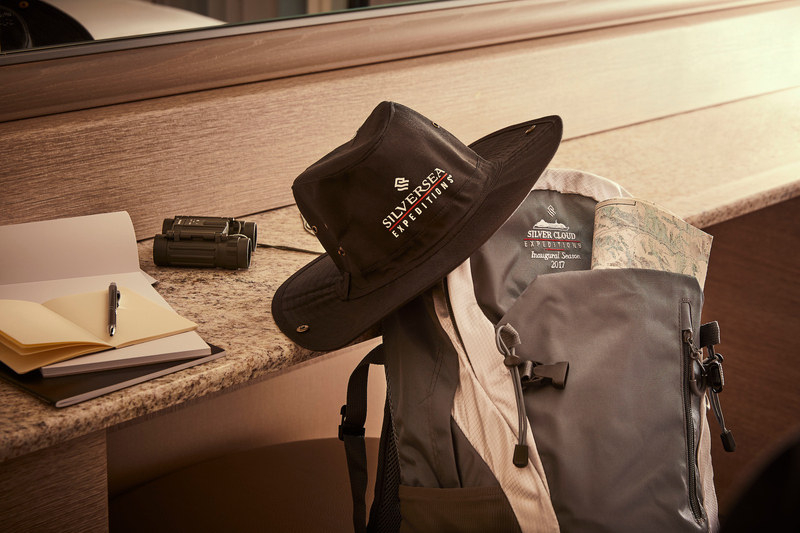 Southern Explorations can book any needed pre- or post-trip hotels, domestic flights, tours and transfers, and include them within your trip costs. Q: What can I expect while crossing the Drake Passage? Will I get seasick? A: The Drake Passage is the body of water between Cape Horn (the southernmost tip of South America) and the Antarctic Peninsula. On most Antarctica cruise ships it will take a full two days to cross the Drake Passage. This passage has some of the roughest recorded sea conditions in the world (the “Drake Shake”), but it can also be pristinely calm (the “Drake Lake”). Conditions in this waterway can vary at any time of year depending on weather, and it is impossible to predict how rough it will be in advance. Some passengers experience seasickness, and others do not. It is advisable to come prepared by packing motion sickness remedies. All ships also have doctors onboard, and these medical professionals are extremely adept at assisting passengers with any seasickness concerns. Once in Antarctica, sheltered waters are normally encountered with little problem for rough seas. NOTE: There are also options to do what is called a "fly/cruise" program where you fly by small aircraft to the South Shetland Islands, just off the Antarctic Peninsula and then join up with your expedition cruise ship there, thus avoiding crossing the Drake Passage onboard the vessel. Q: Can I bring my photographic drone to Antarctica? A: The governing body of Antarctic tourism is called the International Association of Antarctica Tour Operators (IAATO) and Southern Explorations is a member of this organization. IAATO members have agreed that they will not allow the recreational use of UAVs (drones) in the unique, and often wildlife rich, coastal areas of Antarctica. Through the unique global partnership that is the Antarctic Treaty system, the entire continent is formally designated as a 'natural reserve, devoted to peace and science'. Antarctica is regarded as the last great wilderness on our planet, still pristine with wildlife and landscapes that show little evidence of direct human activity. Visiting and operating in an environment like this comes with a responsibility to do so carefully and with minimal impact. UAVs are a relatively new phenomenon and IAATO Is therefore taking a cautionary approach, as it is possible they could have a negative impact on the environment. Also, as you can imagine, many drones flying over a penguin colony would not only be potentially detrimental to the birds (adult penguins are distracted by drones, which allows a Skua to swoop in and eat their eggs or swipe one of their chicks), but will also greatly diminish the experience of other passengers seeking to enjoy the beauty and solitude of the Seventh Continent. So, please, leave the drones at home! A: After booking, you will receive a link to our online trip portal which includes all of the need-to-know information that is specific to your itinerary. This includes packing lists, restaurant recommendations, tipping guides, FAQs, vaccine recommendations and currency information. Your Adventure Travel Coordinator will also be a great resource for any other information you may need.